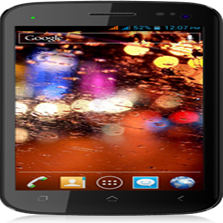 Micromax one of the fastest growing Smartphone and tablet manufacturer. They always come up with such Smartphones that have style and high quality. With a mega 5 inches of multi touch screen having about 16.8 million color display, smart and sleek looking design that makes you sophisticated, remarkable screen clarity, Powered by Google’s Android 4.0.4, dual SIM. Marvelous performance because A110 has 1GHz of processing power so you can enjoy more application that you have never experienced before. Take photos and videos in very high resolution as A110 offers a 8 megapixel of rear camera and 0.3 megapixel of a front facing camera for video chatting. Amazing 4x zoom and shoot at night mode makes it more powerful. A110 has WI-Fi that lets you connect to the world of internet, download apps and games or surf through the web, has Bluetooth for easy file sharing between Bluetooth devices plus it has lightning fast 3G capabilities.